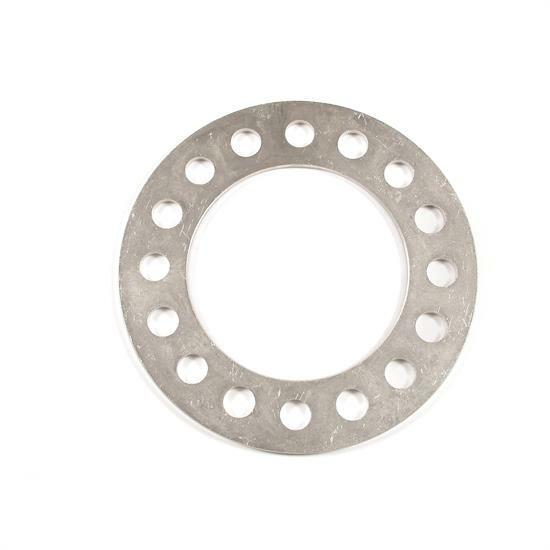 Get the wheel clearance you need with Mr. Gasket's Die cast aluminum wheel spacers. Sold in pairs. Constructed from die-cast aluminum, wheel spacers provide the necessary clearance for custom wheel applications. 2 per kit. 1/4 " thick fits Chevrolet truck 6 bolts, 5 1/2 " bolt circles.